Mentoring is one of the oldest teaching methods in the world. 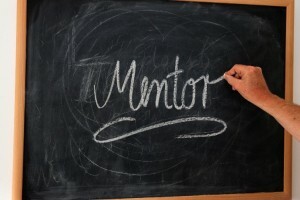 Mentoring is really a personal coaching strategy where someone that has a specific skill or subject matter expertise works with another person to impart their knowledge in a very personal and connected way. With January being National Mentoring Month, it is time for everyone to get busy in helping each other to learn something new or to master a skill they are having challenges with. The great thing about mentoring is that it is a one-on-one learning method. When you first sat down with your kids and read them a story and they followed along with their fingers and said a word they recognized you were being a highly effective mentor. Since mentoring is one-on-one the feedback is immediate and proactive. The learner doesn’t struggle through multiple mistakes; they are gently, positively and proactively supported so that they learn how to do the specific task or skill correctly the first time. However, the benefits of mentoring go beyond just learning math, reading, the alphabet or how to print. It is about feeling the connection of learning and life, and also for the learning to gain self-confidence as they try to learn and master new skills. If you stop and think about it mentoring is happening every day with your children. When you teach them how to make cookies or how to use a new computer you are being a mentor. Kids that have this type of support are much more willing to try new things, to challenge themselves and to feel wonderful about the accomplishments that they achieve, even if they have a few difficulties along the way. Talk to your child’s teachers about volunteering to come in and mentor a child. This is a wonderful way to not only help your own child see how you value school and education, but to also give to a child or small group of children that may not have an active parent in their life. In addition, encourage your child to use mentoring services offered by the school. Many schools have a “big buddy” system where children in higher grades come in and read or do basic math with a “little buddy” which is an excellent way to allow students to experience the benefits of mentoring in a very personal way.